Learn about the similarities and differences between inside and outside sales to decide which sales career path suits you best. 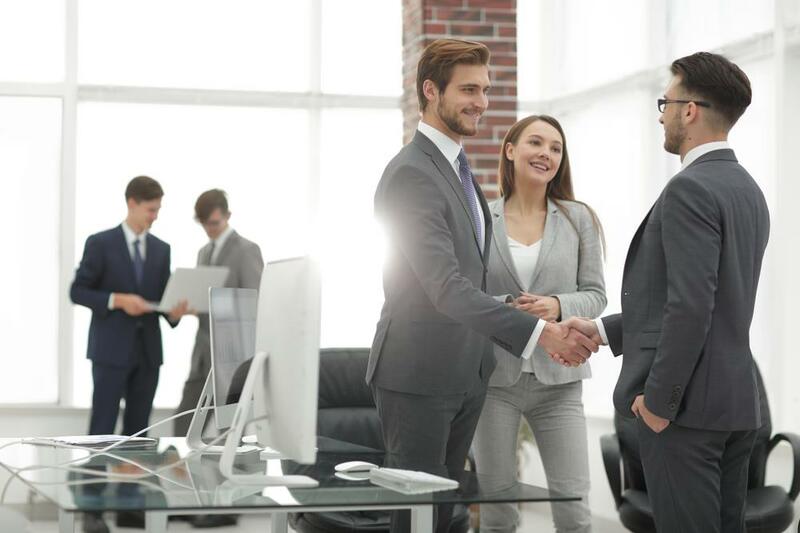 For many years, inside sales reps were far less valued than their counterparts operating in the field, making the outside sales career path an obvious choice for many sales professionals. Relegated to telemarketing tasks or written off as glorified customer service agents, sales professionals working out of an office were often seen as a rather insignificant part of a company’s sales team. However, the last decade has seen a major shift in attitudes and inside sales jobs have moved out of the doghouse and into the spotlight. The main reason for this, of course, is money. Inside sales teams boast 40%–90% lower customer acquisition costs. Furthermore, the face-to-face meetings that outside sales reps thrive in simply aren’t as necessary since 75% of buyers now prefer to communicate via email, phone, or some other form of technology. While inside sales is experiencing a period of rapid growth at the moment, outside sales remains the more lucrative career option overall because most high-value sales require a personal touch. But what is inside sales, really? What is outside sales in this day and age? 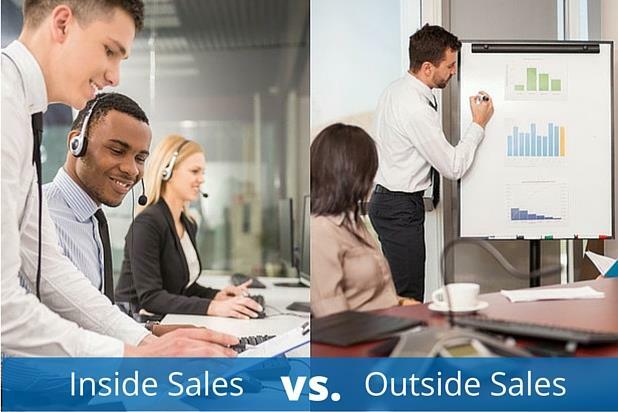 How do you choose between inside sales vs. outside sales? Each specialty offers a different set of pros and cons as well as skills necessary to succeed. Read on as we break down both roles. Inside sales reps work almost exclusively in an office setting with a more structured schedule and limited travel opportunities. The primary method of driving revenue is through the organization’s lead generation process (rather than a rep’s Rolodex), and a majority of effort is dedicated to reaching out to these leads via phone and email, setting up times to discuss the company’s product(s), and arranging demonstrations. The inside sales model has a shorter sales cycle; however, this usually goes hand in hand with smaller sales (and lower commissions). Technical skills are a key requirement for the inside sales specialist. Individual companies have their own sales systems or customer relationship management (CRM) software that you will have to learn to navigate. You also must have above-average administrative abilities, as you will need to create and maintain revenue forecasts, track call results, and generate internal reports. Finally, perhaps the most important trait for inside sales is thick skin. You will face continued rejection day after day, and it takes a lot of “nos” to get to one “yes.” The success rate for inside sales reps is 18%, which means that four out of five times, your pitches will fall on deaf ears. If predictability (both in terms of income and time away from home) is what you’re looking for, and you’re able to stay positive as you shrug off negative interactions with potential customers, inside sales may be the sales career path for you. Road warriors and door-to-door salespeople are what most folks think of when they consider outside sales jobs, and although the heyday of this specialty has passed, field sales reps are far from obsolete. On the contrary, comparing outside sales to inside sales comes down to quality vs. quantity. Field sales reps will always have a place in business because certain products require a more personal touch and face-to-face conversations. Furthermore, closing larger sales usually involves a meeting with c-level personnel, which won’t have the same impact if done over the phone. This helps to explain why outside sales pros are able to “close the deal” 40% of the time; in-person meetings cultivate a stronger relationship between seller and customer. Because so much time is spent on the road, field reps must have exceptional time management and organizational abilities. Multitasking is also very important because these sales specialists often make and take phone calls en route to their next meeting. Above all else, however, outside sales pros must have outstanding people skills. Speaking publicly, delivering presentations, and connecting with potential customers are all in a day’s work for the outside sales specialist, so if you’re an ambitious, self-motivated, results-driven, and outgoing person, this might be the perfect career for you. According to SalesLoft, inside sales jobs are growing 15x faster than outside sales jobs and 10 inside sales specialists are being hired for each field rep. However, outside sales professionals make an average of 14% more than their counterparts in the office. The median salary for inside sales reps is ~$42K vs. $48K for outside sales reps. Almost half of inside sales professionals have less than 5 years of experience, but nearly two-thirds of outside sales personnel have 5+ years of experience. There is also a large gender difference between the two sales specialties. 74% of outside sales reps are male while inside sales is a bit more evenly split (56% male, 44% female). Both offer on-the-job training and significant opportunity for advancement to supervisory and management positions. After you’ve taken the time to compare inside sales vs. outside sales and determine which sales career path aligns best with your skills, experience, and ambitions, your next step is to get out there and find a great opportunity. Search for outside sales jobs or inside sales jobs in your area today!